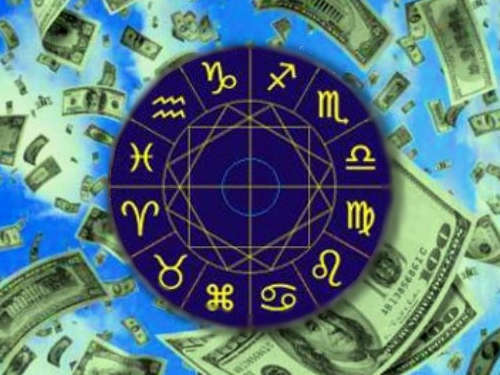 The money horoscope will tell the representatives of all the signs of the zodiac how their financial situation will be this week. Someone is waiting for success, and some can not do without support from above. Aries need to think as quickly as possible where it is profitable to invest money. It is very profitable to make an investment in the bank, after weighing all the pros and cons. You can easily save a decent amount, constantly replenishing the account. Representatives of this Zodiac sign can seriously enough spend money on their own appearance: visiting salons, buying gold accessories or clothing. Therefore, choose the best possible things. The situation this week will be for you not the most stable. There may be unexpected expenses, so the horoscope advises to set aside funds in advance. Those born under the sign of Cancer this week will take care of their health and may unwittingly put up a decent amount of medical supplies or paid clinics. Remember that self-treatment is not always effective. By the end of the week will increase the likelihood of spending due to people close to you. It is very possible that at work you will be entrusted with an interesting and responsible task. So, it will bring additional income. Therefore, work in full force. Astrologers predict you a profit for your diligence, and also offer good opportunities to express themselves in the field of career. Representatives of this Sign have a bonus at work or an extremely profitable business. Your manager will turn the situation in the direction convenient for you, which means that the week will be financially positive. Avoid reckless spending and strengthen energy talisman money. You will either have a surplus or lack of energy, which means that you are likely to get out of balance and you can begin to take not the most balanced decisions. Do not worry, this state will pass, but for now make a plan of expenses in advance — preferably, together with a loved one. Representatives of Scorpios can not refrain from fun with friends, attend mass events and clubs. This week, please yourself and relax in the company. But do not spend all your money at once, because large revenues are not expected. It is imperative for you to remain calm and not lose composure. Then all decisions about purchases will be weighted, and the Archers will remain with a very heavy wallet. It is better to refrain from serious and large purchases. Try to save at least a quarter of current income for the future. Capricorns can spend money on friends, especially if you have not spoken to them for a long time and would like to rectify the unfavorable situation of the past or talk heart-to-heart. Meetings in a cafe are worth it, especially as small financial expenses will allow you to improve your affairs in the sphere of personal relations. Do not waste money on trifles. The plans you probably worth a large purchase, or even any serious cash costs. Now is the time to take a responsible step and get what you want. You need to relax, so the money for the upcoming week will go to your favorite entertainment, hobbies and other pleasant activities. Do not deny yourself them. But do not put yourself in a cash-free situation.